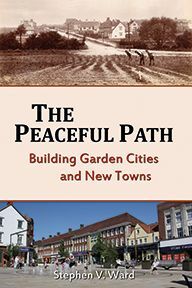 The title of this book is taken from Ebenezer Howard's visionary tract To-morrow: A Peaceful Path to Real Reform. Published in 1898 as a manifesto for social reform via the creation of Garden Cities, it proposed a new way of providing cheap and healthy homes, workplaces and green spaces in balance in cohesive new communities, underpinned by radical ideas about collective land ownership. 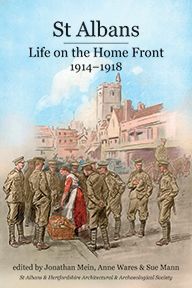 While Howard's vision had international impact, in this book planning historian Stephen Ward largely honours the special place that Hertfordshire occupies on the peaceful path, beginning with the development of Letchworth and Welwyn Garden Cities. Both were established with Howard's personal involvement and slowly achieved most of his aims; both also emerged as havens for liberal-minded, creative, largely temperate communities. Stephen Ward then recounts in detail how the New Towns programme was created by the post-war British Government as an alternative way of realising Howard's vision. Although state involvement was not what Howard had wanted, the new approach overcame financial problems to allow faster development while maintaining the principle of collective (though no longer local) land ownership. During this dynamic era of new thinking in all areas of government, Hertfordshire was once again in the vanguard with bold and imaginative New Towns that met real social needs being created at Stevenage and Hemel Hempstead as well as at Hatfield and Welwyn Garden City. By 2011, over a quarter of Hertfordshire's population lived in its Garden Cities and New Towns. Nowhere else in the UK, or indeed the world, came so close to Howard's dream. The Garden City idea was admired globally, inspiring innovative planned settlements from Scandinavia to the United States, from the USSR to Australia. Yet this is not just a work of history: The Peaceful Path also examines the contemporary relevance of Howard's vision. Today's politicians, faced with a severe housing shortfall and rampant property prices in London and other 'hotspots', are again turning to the idea of the Garden City. Howard's vision endures. Stephen V. Ward is Professor of Planning History at Oxford Brookes University. He is a former President of the International Planning History Society and was for several years Editor of the international academic journal, Planning Perspectives. Stephen V. (Steve) Ward is widely known internationally for his work in the field of planning history. He is a former President of the International Planning History Society 1996-2002 and remains a member of its governing Council. He is also a former editor of the refereed journal Planning Perspectives and continues as a member of its Editorial Board and is an Editorial Board member of the American refereed Journal of Planning History. 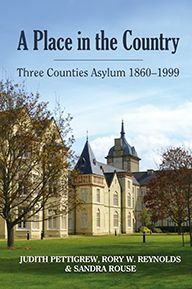 He is one (of three) Academic Editors of the Royal Town Planning Institute book series published by Routledge. Over a career spanning more than 40 years, he has published extensively, mainly on historical matters relating to planning with many books, book chapters, articles and other outputs to his name. His works are widely cited by planning historians and others.